Should This Kid Have Lost His Driver's License For Life? A judge in Rhode Island handed down what he himself called the "death penalty for license holders" when he took 17-year-old Lyle Topa's driver's license away. Permanently. Forever. For the rest of his life. But is a lifetime driving ban smart — or even legal? Reviewing the facts of the case, Topa seems like the best candidate — if there is such a thing — for a lifetime ban. The teen nearly killed himself and three of his passengers last October. Top was street racing while drunk when he tried to pass another car and hit a tree instead. One of the passengers went into a coma but survived. Topa is also a repeat offender, having had his license revoked twice before — in less than two years of driving. The small state seems split on whether or not this is actually legal or reasonable. Here's what Rhode Islanders are saying. "I'm trying to save your life"
"We didn't think one of your friends was going to make it." "Thank God there were no fatalities." "As a young man, I would hope he takes time to reflect on the significance of his actions that night and realize, while the accident was horrific and those boys will be dealing with it for a long time, the outcome could have been much worse. Hopefully he and others will understand poor choices have consequences, not just for them but for their families and friends." "I think it's a little harsh. he kid might mature and actually be a responsible driver. I don't know how you can take it away from a kid that age forever. What's he going to do ... bike for the rest of his life?" Topa's family asked that his license be revoked only until he turned 21 and legal experts seem to think that what the Judge did may not hold up since the guilty party can always appeal to get his license back in the future. 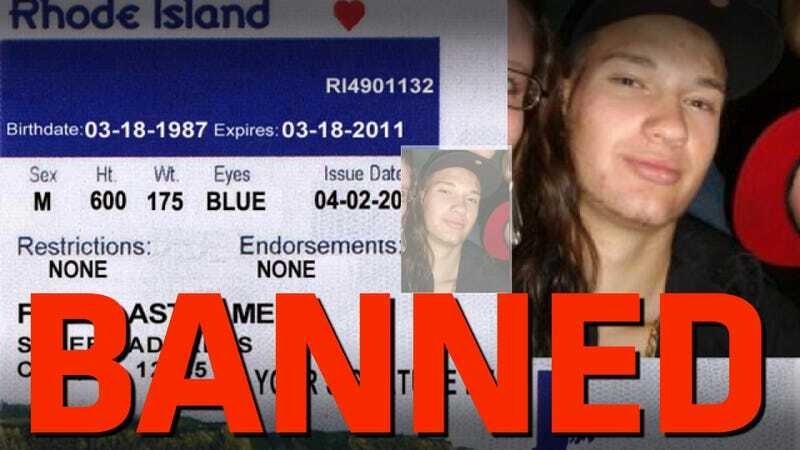 Whatever the ultimate fate of Topa, who could not look less deserving of a license on his Facebook page, a message has been sent to Rhode Island teen drivers: the old people who run things aren't taking your crap anymore.